After having been successfully trialled in a small town in North Holland, a new technology that harvests energy from road-mounted solar panels is to be tested in the US’ most populous state. 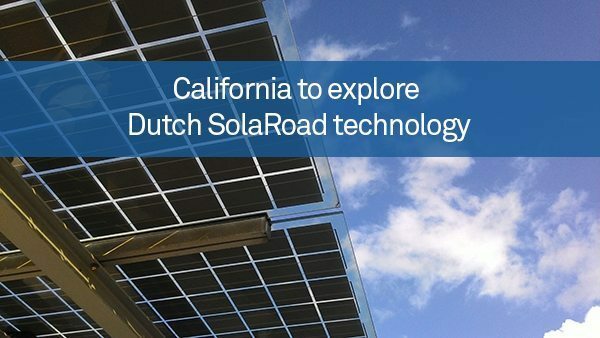 This is according to Transport Technology Today, which reported this morning (April 4th) that California and the Netherlands have agreed to work together to explore “sustainable options for using solar energy in transportation infrastructure”, and the potential uses of one homegrown Dutch technology in particular. Called SolaRoad, the system converts sunlight to energy via solar panels embedded in the road surface behind a protective layer of tempered glass. A three-year trial of the technology kicked off in 2014 in the Dutch town of Krommerie, where residents and tourists can travel via a 70 m solar cycle path. Within the first 12 months of the pilot, SolaRoad had generated 9,800 kWh of energy – enough to power a number of households for an entire year. Now, with California’s transport authorities throwing their backing behind the technology, a second trial is on the cards. Specifically, the California Department of Transportation (Caltrans) will study the feasibility of a second test highway, this time at the maintenance rest area in Lebec on Interstate 5 in Kern County. In comments seen by Traffic Technology Today, Caltrans director Malcolm Dougherty said he was excited to explore how SolaRoad might be used for “everything from emergency power generation … to lighting signs and lamps”. “California’s infrastructure is aging and our resources are increasingly becoming limited, so the need for innovation is essential,” he added. Solar roads are currently well on their way to becoming a reality in many countries worldwide. In France, for example, ecology and energy minister Segolene Royal recently announced plans to pave 1,000 km of highway with solar panels – a project that would furnish up to eight per cent of the French population with power.